Can Fo-Ti Help Prevent Grey Hair Safely? Fo-ti (Polygonum multiflorum) is a plant that is native to China and also found in Japan and Taiwan. Used in traditional Chinese medicine (TCM) as a longevity tonic, fo-ti is known as He Shou Wu (which means "black-haired Mr. He"), referring to the legend of an older villager named Mr. He who took the herb and restored his black hair, youthful appearance, and vitality. 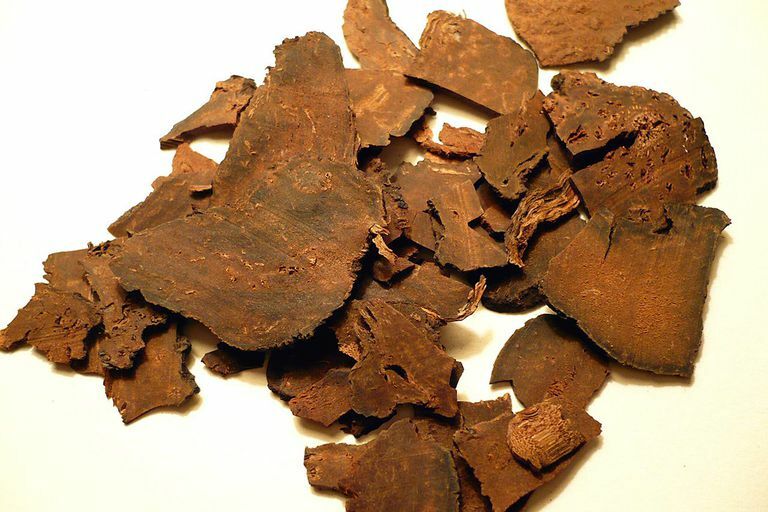 In traditional Chinese medicine, fo-ti is used as a longevity tonic for greying hair, premature aging, weakness, vaginal discharge, and erectile dysfunction. The type of fo-ti typically used is red fo-ti, which is the root boiled in a liquid made with black beans. The unprocessed root, known as white fo-ti due to its light color, is traditionally used for constipation or is applied topically to the skin for acne, athlete's foot, or dermatitis. Although some preliminary laboratory and animal research suggests that fo-ti may have certain beneficial effects, there's currently a lack of clinical trials to support these findings. Despite fo-ti's long history of use, there have been numerous cases of hepatitis reported following the use of fo-ti. In a review of 450 case reports about liver damage associated with fo-ti, researchers concluded that fo-ti "causes liver toxicity and may cause liver damage in different degrees and even lead to death; most of them are much related to long-term and overdose of drugs". The report's authors went on to say the liver damage associated with fo-ti is reversible and that after active treatment, the majority could be cured. Rarely, people develop an allergic skin rash after taking fo-ti. A stimulant laxative, fo-ti may cause side effects including loose stools and diarrhea. Taking more than 15 grams of the processed root has been associated with numbness in the arms and legs. One study tested 32 plants used for menopause in traditional Chinese medicine. They found that fo-ti had the greatest estrogenic activity. People with estrogen-related cancers of the breast, ovary, uterus, and prostate, in particular, should avoid fo-ti, as the effect of hormonal effect in humans isn't known. Pregnant and breastfeeding women and children shouldn't use fo-ti. Fo-ti may affect blood sugar levels, particularly in people with diabetes. It shouldn't be taken in the weeks prior to surgery. Fo-ti may interact adversely with medications such as digoxin, stimulant laxatives, and diabetes drugs. It can also interact with drugs that affect the liver, such as ibuprofen, warfarin, and amitriptyline. You can get tips on using supplements here, but keep in mind that self-treating a condition and avoiding or delaying standard care may have serious consequences. There is not enough traditional scientific data to provide a recommended dose of fo-ti. However, the standard dose listed in the Chinese Pharmacopeia is 3-12 grams daily. Specifically, 3-6 grams of raw extract and/or 6-12 grams of the processed extract is used, according to the Natural Medicines Database. Fo-ti is available in raw form, as a powder, an extract, or in capsule form. It may also be combined with other products. The safety and effectiveness of fo-ti, when combined with other herbs or compounds, is not known. If you choose to buy fo-ti or any other supplement, the National Institutes of Health (NIH) recommends that you look for a Supplement Facts label on the product that you buy. This label will contain vital information including the amount of active ingredients per serving, and other added ingredients (like fillers, binders, and flavorings). Although fo-ti may have some possible health benefits, it cannot be recommended due to the potential for serious adverse effects such as acute liver damage. If you're still thinking of trying it, it's essential that you speak with your healthcare provider first. Lei X, Chen J, Ren J, et al. Liver Damage Associated with Polygonum multiflorum Thunb. : A Systematic Review of Case Reports and Case Series. Evid Based Complement Alternat Med. 2015;2015:459749.